While shopping on a smartphone or laptop has provided a whole new world of convenience and shop-from-anywhere access for consumers, it can often prove to be a less pleasing experience when it comes to checking out. Remembering and entering lengthy credit card information can be an inconvenient extra step, particularly on a phone-sized keyboard, and the extra step of sometimes needing to access a completely different screen can turn the fast and easy to frustrating and exasperating. 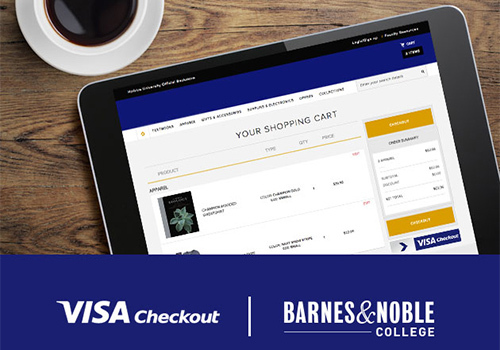 That time-consuming payment factor might be a thing of the past if a new partnership Barnes & Noble College entered into this school year with Visa Checkout is any indication, and could predict a whole new opportunity to buy and click instantly — because it’s not always about what you buy — increasingly, it’s about how easy and secure it is to pay. Visa Checkout is a program designed to speed the online payment process by using a digital wallet system, similar to those offered by providers like PayPal, where users can safely pre-register their account information. The system works with any debit or credit card, but what really distinguishes Visa Checkout from other digital wallet systems is the user’s ability to check out directly from the merchant’s website or app, without having to switch over to a different screen. That kind of ease of use and functionality was especially appreciated by Tamara Vostok, Director of Consumer Marketing for Barnes & Noble College, who sees the enhancement as something her customers would welcome. “Once registered, our students needed only to add a username and password before simply tapping or clicking on the Visa Checkout logo to pay for their products. That was a functionality we really wanted to add to our store websites,” she explains. The program ran in time for this year’s fall back-to-school season, resulting in making students’ purchases, including textbooks, so much more convenient. 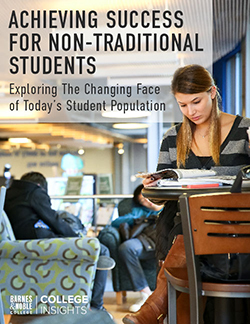 Adding even greater value to the program was the incentive that when students visited their college bookstore’s website and spent a minimum of $100, they would receive a $30 discount — a considerable savings given the average rush order is typically twice that much, providing even greater value for textbook costs against other online vendors. A second promotion, on a smaller scale, ran during the winter term. The success of programs like Visa Checkout demonstrates the opportunity brands have for introducing new products to the vitally important campus audience, as Marie Policastro, Director of Brand Partnerships & Market Research for Barnes & Noble College, points out. “For brands interested in testing, in trend analysis as their products relate directly to in-store sales, or simply as a channel to reach an audience of 4.4 million students, our stores really are uniquely positioned,” she says. And, as the Visa Checkout program has proven, that ability can reach across in-store and online experiences through the network of social and digital channels. “If our brand customers have a cool app or even a product blog we can share, we have access to a wide range of digital channels to help increase downloads and user demos,” she adds. The most successful brand partnerships that Policastro and her team have forged all have a singular component: massive appeal to the student demographic. “It has to be a relevant brand for our audience. 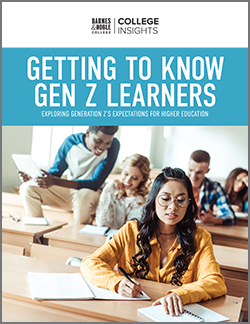 It has to have a quality that offers particular appeal to our students — call it a cool factor or convenience or perhaps a savings opportunity,” she says.